Bright Internet is proposed as a preventive cybersecurity paradigm of reducing the threat from malicious origins, in contrast with the current self-centric defensive cybersecurity paradigm at receiver sites. For this purpose, the principles of origin responsibility and deliverer responsibility on a global scale are adopted. However, these preventive security-related principles may hinder the freedom of anonymous expression. Thus, the principle of identifiable anonymity is adopted in order to allow the freedom of anonymous expression for innocent netizens, also enabling the traceability and identifiability of malicious origins. In addition, the preventive security schemes should not infringe the privacy of innocent netizens without valid search warrants. All these principles should be implemented globally with adequate collaboration mechanism. To achieve these conflicting goals, Bright Internet adopts five essential principles (Principles of Origin Responsibility, Deliverer Responsibility, Identifiable Anonymity, Global Collaborative Search, and Privacy Protection) and Internet Peace Principle (Learn more details about Bright Internet Principles). The implementation of these principles requires technologies and system, national policies and international agreements, and global collaboration as depicted in the following diagram [Lee et al. 2018]. We believe the Preventive Cybersecurity Paradigm can be a disruptive technology of current cybersecurity solutions, but it requires not only technologies, but also national policies and international collaboration. Research for Bright Internet studies the validity of principles and designs systems and technologies that can fulfill the conflicting goals effectively and efficiently. The design spectrum of Bright Internet encompasses technologies and standards, laws and policies, and international collaboration and global governance structure. 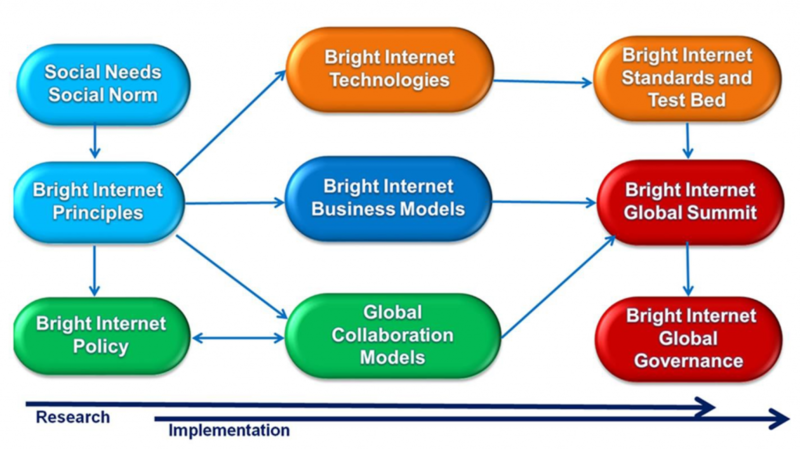 The research of Bright Internet also attempts to develop business models so that the goals can be realized by market driven motivations with minimal governmental and global regulations (Learn more details about Bright Internet Research). 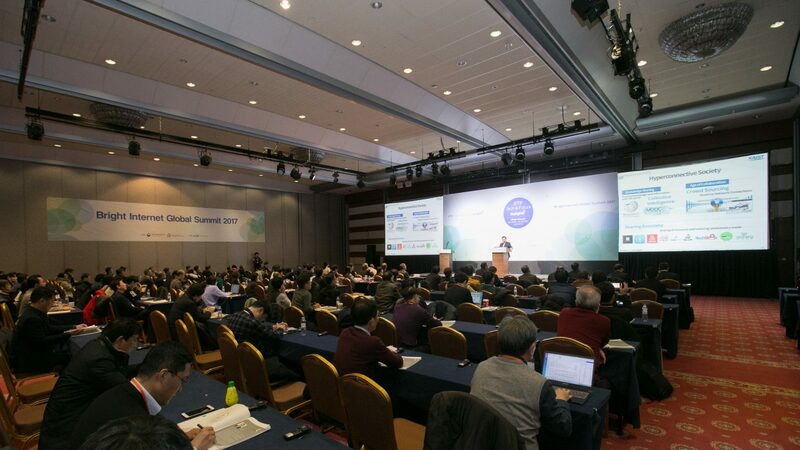 Please visit BIGS 2017, the first ever global summit, to look into the deeper discussion about Bright Internet from the global and interdisciplinary perspectives.